The days of smart assistants shrugging at your trivia questions are numbered. Amazon is currently rolling out a new support feature to its Alexa-enabled devices, which will dredge up previous questions you asked when Alexa gains the necessary knowledge to answer them. 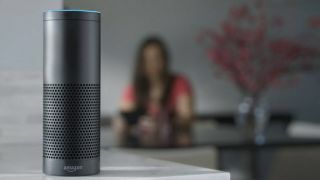 Users were already able to keep track of their conversations with Alexa in the Alexa smartphone app, which lists every question put to the assistant and the answer given in response. The new Answer Update feature will be opt-in, with Alexa asking users if they want to turn on the feature when faced with an unanswered question. You’ll then be able to disable the feature at any time by saying “Alexa, turn Answer Update off” – if intermittent reminders of your own trivial questions begin to get on your nerves. Previously the assistant would have evaded the question with something akin to “Sorry, I don’t know the answer to that”, or “I didn’t understand the question”. Despite Amazon’s early lead in the smart speaker market, competing products from Google and Apple are gaining traction – with Google’s own AI assistant currently proving far more adept at answering day-to-day questions than Amazon’s Alexa. Amazon has been rolling out a host of new features recently to build up Alexa’s skillset and capability, including an Alexa Cast function for controlling speakers through your smartphone, and a new ‘Away Mode’ that plays lengthy conversations – including book club meetings or heated breakups – to dupe potential burglars.